We are a family friendly dental practice, specialising in all aspects of general dentistry. Your smile is one of the first things people notice about you. This is where we come in, to help keep your smile looking and feeling healthy. If coming to the dentist worries you, you're not alone. For some people, anxiety gets the better of them when thinking about the dentist. You may have had an unpleasant experience in the past, whatever it may be, we understand. Here at Albany Hills Dental we've hand picked a team to ensure an exceptional level of patient care is executed everyday. 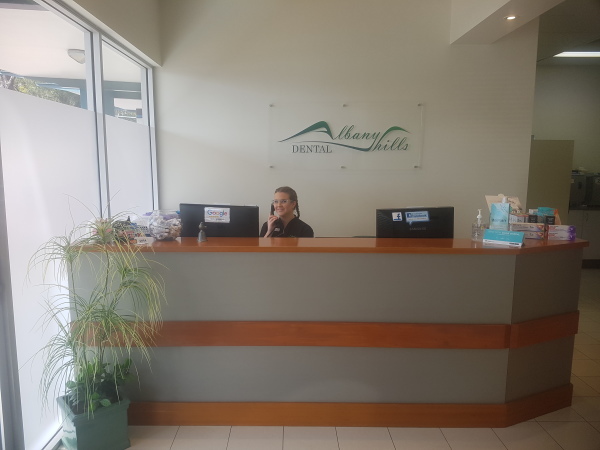 We'll ensure that your next visit to Albany Hills dental is as pain free and pleasant as possible and we hope that you'll look forward to your next appointment with us. Our patients are of major importance to our practice. We endeavour to have emergency appointments available on a daily basis to ensure our patients can be treated on the day.